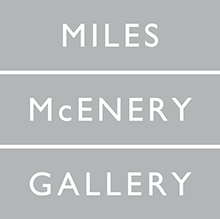 NEW YORK, NEW YORK – AMERINGER | McENERY | YOHE is pleased to announce an exhibition of recent drawings by Randy Dudley. The exhibition will open on 5 January and remain on view through 11 February 2017. A public reception for the artist will be held on 5 January from 6:00 to 8:00 PM. In his hyperrealist drawings, Randy Dudley captures an urban landscape that is distinctly American. Vacant lots, back alleyways, train trestles, and overpasses are all depicted in sharp detail. Though often devoid of people, his industrial scenes allude to a human presence with parked cars, dilapidated buildings, and heavy machinery that has gone quiet. Precisely rendered in pencil on Bristol board, the works in this exhibition feature views of Chicago and Brooklyn—each emphasizing manmade structures and the shadows they cast. With a deft handling of shading, Dudley deepens the contrast between the areas of light and dark formed as sunlight filters through steel framework. The heightened reality of his crisp drawings helps to illuminate the essence of the American industrial landscape. RANDY DUDLEY (b. in 1950 in Peoria, IL) received his Bachelor of Science degree from Illinois State University in 1973 and his Master of Fine Arts degree from Virginia Commonwealth University in 1976. He has had numerous solo exhibitions at O.K. Harris Works of Art, New York, NY. Recent group exhibitions include “Photorealism: Beginnings to Today,” New Orleans Museum of Art, New Orleans, LA; “Photorealism: 50 Years of Hyperrealistic Painting,” Kunsthalle Tübingen, Tübingen, Germany, which traveled to Museo Thyssen Bornemisza, Madrid, Spain; Birmingham Museum and Art Gallery, Birmingham, England; Art Museum of Estonia, Tallinn, Estonia; and Musee d’lxelles, Ixelles, Belgium; “Beyond Reality: Hyperrealism & American Culture,” Vero Beach Museum of Art, Vero Beach, FL; “Shock of the Real: Photorealism Revisited,” Boca Raton Museum of Art, Boca Raton, FL; “Exactitude III,” Plus One Gallery, London, England; and “Industrial Landscapes In Contemporary Painting,” Bernarducci Meisel Gallery, New York, NY. Randy Dudley lives and works in Ottawa, IL.